A Campbeltown athlete ran the race of his life when he beat 583 finishers to win the Jimmy Irvine 10K. 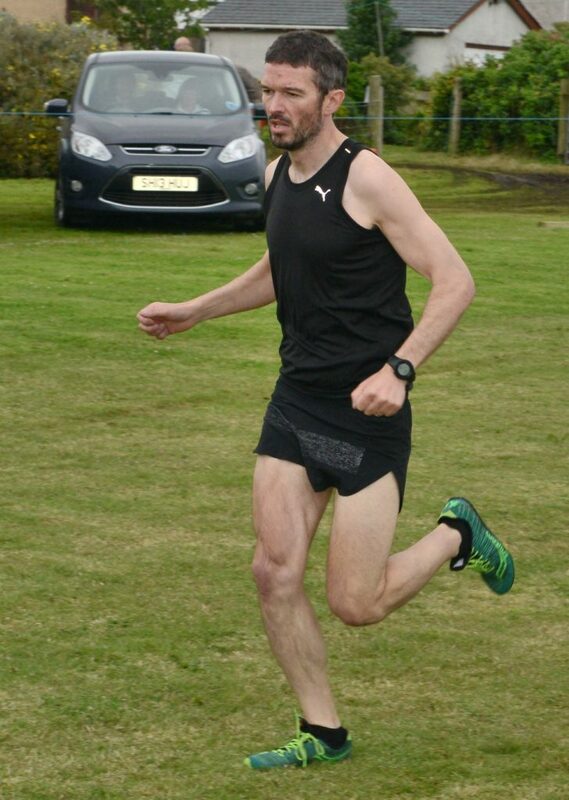 Stuart McGeachy, of Campbeltown Running Club (CRC) won the Bellahouston Harriers race in 33 minutes 23 seconds, just eight secs ahead of 2nd placed, Cambuslang Harrier, Gordon Robertson and 22 secs in front of the 3rd placed Jonathan Roebuck. McGeachy praised team-mate Drew Dutton, the 4th placed runner who finished in 34:45, for spurring him on in the early stages of the race. McGeachy, who finished 6th last year but is uncertain how many times he has run the race, said: I felt good in the warm up even although weather conditions were bad with heavy rain. ‘I ran my own race at the start and kept with the lead pack until the 5th mile when I could see the 1st and 2nd tiring. ‘Managed to take the lead with more than half-a-mile to go and knew I had it from there barring any slips! Depending on the season McGeachy aims to train by running between 50 and 80 miles a week. Other CRC finishers were: James Murdoch 132nd in 42:45, 36rh female, Susan Turner, 236th 46:57 and Stuart’s wife Elaine McGeachy, 42nd female and 266th in 48:03. The race is named afterBellahouston Harriers’ athlete Jimmy Irvine, who first appeared nationally in the national cross-country championships on March 1 1952, at the age of 16. He only ever ran for Bellahouston Harriers and assisted the club to win gold, silver and bronze medals on the road and over the country locally, at district level and nationally. From 1955 to 1974 he was best known for competing in the eight stage Edinburgh to Glasgow event. His final 16th event in 1974 is described in some detail on the Scottish Distance Running website: ’18 year old Graham Laing took over chasing a 64 second gap to Jimmy Irvine, 39. ‘Graham gradually closed the gap till, as they approached the Wills factory, he was on Jimmy’s shoulder. ‘Instead of going straight past Graham, who must have been feeling the effort he had put in to close the gap ran with Jimmy and repeatedly asked ‘How far to go,’ only to be met with silence. ‘Having taken Graham by surprise Jimmy opened a gap and hung on for all he was worth along the busy street eventually coming home three seconds ahead.